Hey, only just saw this! No, never. I tend to stack my own voice for harmonies and as such I'm usually tight enough for my needs. And my wife's in the CBSO Chorus so I like to affect an air of expertise doing this sort of thing in the old school way. I have the API comp - it's nice. If you like it when you demo it send me a message. To be honest, it does sound like a cool tool - especially for a voice like mine where extra thickness would be no bad thing - it's a bit more David Byrne/ Wayne Coyne than I'd like to admit. I actually never double mains - if you did Revoice would be an awesome way to go. That can transfer pitch as well as timing, again on a sliding scale (with much more fine control over this than vocalign). There's a demo of it, it's not cheap, but they do 30% off sales every now and then or you can rent to own via their website I think (works out more expensive, but more flexible). Ahh, waves online installer. Downloading 32 processes in parallel = hardly downloading at all. For reference I jsut finished some drum editing and posted up the results so the guys could look for glitches and the drummer said "fantastic thats my best ever performance". I'm sure it will come out after a few beers! I haven't, I assume I should? What they are doing is really interesting, which is to model the nonlinear characteristics of individual channels in a specific console. When you pull up, say, 40 instances of the G channel plugin they will all have slight, imperceptible differences between them, much like an actual console (if you think about how individual components to a channel change over time). It is a really novel approach and I believe it works. Well now I too believe it works. I picked up Console E in the recent sale, and must say I think it sounds fantastic. Extra interesting is being able to have a stereo channel be made up of two different channels, or to be able to chose to have them match... that's quite a nice touch. Also there's an upcoming official SSL Brainworx plugin, doesn't seem that much info on it yet but it was seen on a livestream of a mix recently and Dirk confirmed it to be real in the Plugin Alliance Facebook group. Sounds interesting @guitarfishbay is that livestream available to watch on YouTube? No - the livestream I saw was the Jens Bogren Live mix of Opeth. It’s for members of Nail The Mix so I can’t share it. A public beta of the plugin is due on Monday. @guitarfishbay have you had a chance to mess around with it yet? Yeah. It takes a little more CPU than the Waves one but it does some pretty awesome stuff and it’s still reasonable on CPU. Using a stereo instance you can run both sides the same or run different channels which will give a slightly wider sound. I found on busses that would be mono information for me (eg bass bus) I prefer to run both sides the same, just because I wouldn’t want uneven low end boosts/cuts happening there. But sticking it on a guitarist a vocal bus can get some great results especially when you’re adding top end. You can randomise all channels on all instances from within another plugin. So if you have a lot of instances you can try different channels quickly across the whole mix. The saturation is quite good too. Switchable EQ revisions is another nice touch. Its definitely worth a demo. I still like the Waves one but the BX console is more versatile. EDIT: Holding out to hear news of $49 sale on Echoboy at some point...it's at $99 at the moment. I'm a-waitin' for the Liquidsonics sale. $20 off Seventh Heaven would do me nicely. I paid $249 down from $349 for Echoboy the day it was released, if that makes you feel any better. I'm in no rush, was $49 a couple of months ago. Thanks for the link, how would that work, would he be able to transfer it directly to my Soundtoys account? Aye. So it's worth picking up Echoboy Jr now and then waiting for Black Friday. @Jonathanthomas83 yep. If you PM him, say you want it, pay $50 via Paypal (go normal for safety), then it will be yours. As iLok is involved, it'll be a case of transferring the licence from his iLok account to yours, and that will trigger a licence change within the Soundtoys camps accordingly. I've bought and sold loads on KVR. If you act sensible with payments, you'll be fine. I bought Ableton Live 9 there last week for a shade over £100. Chap was brilliant, said he'd give me his Ableton account so it'd be a quick change rather than a transfer process. Asked me for a suitable email to change the account to, set it up with a temp password, I logged it and changed the password and took over the account, paid him after I'd done it. Can't go wrong with that. Oh my. This intrigues me greatly. 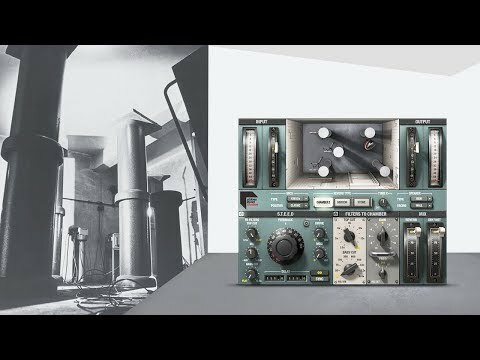 That Waves Abbey Road Chambers might be interesting - I think the Plate is the best vst plate reverb I've used. Feels like sending signal to a real sheet of metal. Mercurial Audio just emailed me about a 33% sale on the U530 Engl plugin. Want a top notch reverb for £8? 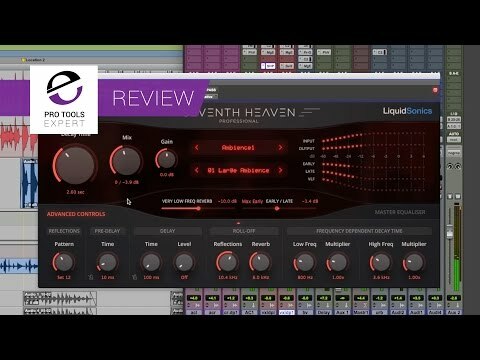 Look no further .. it is a lovely plugin .. good for soundscapes and the like ..
25% off coupon code for use on Waves.com this weekend.